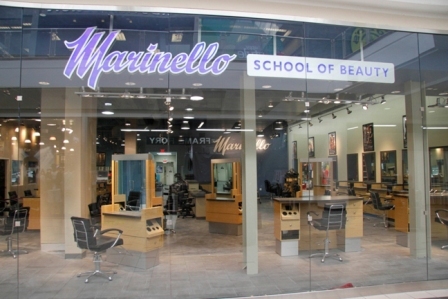 The insurance carrier of the now-defunct Marinello Schools of Beauty has paid $8.6 million to resolve civil allegations that the school -- which operated in about a dozen Southland locations -- obtained federal student loan funds for ineligible students, it was announced this week. Marinello Schools operator B&H Education Inc. was accused in a "whistleblower" lawsuit of improperly assisting adult students who did not have high school diplomas to obtain bogus high school diplomas. B&H allegedly allowed students seeking high school diplomas to take their tests without proctors, to use their phones and workbooks to look up answers during tests, and to repeat the same tests until they passed, according to the U.S. Department of Justice. Many of the students who received their high school diplomas through this program then enrolled at B&H and, with its assistance, applied for and received federal student loans for which they were not eligible. Under U.S. Department of Education regulations, a student must have a valid high school diploma or its equivalent in order to receive federal student loans. The school closed its campuses in February as a result of the DOE's decision to cut off access to student financial aid. About 1,500 students were registered at the cosmetology school's campuses in West Covina, Palmdale, Whittier, Bell, West Los Angeles, Reseda, Burbank, Inglewood, San Diego and elsewhere in the Southland.